Fruit and veg. You don’t need a massive back garden or an allotment to grow some vegetable staples – or at least some tomatoes and herbs to make your own margarita pizzas! A small garden is more than enough to grow the above, plus carrots, runner beans, plums and blackberries. Wine and beer. Why not accompany that home-grown veg with some tasty homebrew, or a glass of elderflower wine? 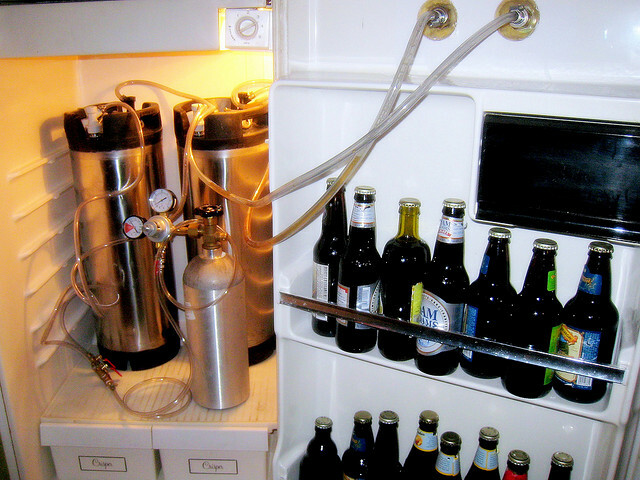 Making homebrew can be fun as well as thrifty, with the process becoming ever-more fascinating. Experimenting with different recipes can also really pay off as well. When friends come over, invite them to sample your own signature ale or local ‘vintage’. Cleaning products. You may think you have to spend money in the supermarket for these, but items such as detergent, washing-up liquid, toilet cleaner, furniture polish and disinfectant can be made easily in the kitchen, using ingredients such as vinegar, baking soda and olive oil. Kids toys. Instead of paying a fortune for children’s hobbies and crafts materials, you can create your children’s paints, play-dough, bubble mixture, modelling clay, crayons and hula hoops from simple items and ingredients in the home. You’ll save an absolute pile of cash, and your kids will be entertained for hours.